Metlife can help you maximize your oral health and minimize out-of-pocket costs for routine dental check-ups, crown, caps, root canals, teeth removal and dental implants procedures and most things in between. As of 2018, dental PPOs insurances like MetLife offers a broader selection of dentist providers than HMO managed-care plans. With a MetLife PPO, the patient pays for covered services after it receives a bill, which means that you may have to pay up front and then obtain reimbursement from your insurance carrier later. You are free to choose any dentist you like from either the in-network or out-of-network lists, and you receive an agreed-upon level of benefits from the insurer according to the list you use. These types of policies are popular among both employer-provided and individual dental insurance plans like MetLife because they offer the customer flexibility and freedom. You may go to any dentist, however, for maximum MetLife benefits at the lowest cost visit a participating network dentist. What's the benefit of seeing an in-network MetLife dentist? If your dentist is not in the network with MetLife you still recieve benefits, but you will pay higher out-of-pocket costs for the dental services. If you choose a dentist from within the MetLife network, you receive the full benefits available under the policy. If you visit a dentist outside the network, you are still eligible for insurance coverage, but the benefits are often restricted, resulting in greater out-of-pocket costs for you. What dental service are covered under MetLife dental? There are certain services under your MetLife Dental plan that will have a copayment and frequency limitation. As an example, standard plans include frequency limitations for the following procedures: Exam, cleanings and x-rays. Standard plans includes copayments for the following procedures wisdom teeth extractions, root canals, white fillings, porcelain crowns, periodontal (gums) treatment, dentures and others. For more detailed information on service cover by your plan contact our office or MetLife customer service. As of 2018 below are our most commonly asked questions on Gum Laser Surgery and periodontal laser treatment. How long does Laser gum surgery take to perform? In many cases, we can do the LASER treatment in one long session of 2-3 hours. Sometimes, it can be split up into two sessions of 1-1.5 hours one week apart. Will periodontal Laser treatment hurt? No, we always get our patient numb for LASER periodontal treatment just like we would if patients were to get a small cavity filled. We use local anesthesia. Our patients normally have good dental experience during laser dental procedures. Some discomfort may be present after laser periodontal gum surgery. How far are you located in Fort Lauderdale? Our Plantation office is part of west Fort Lauderdale. We are about 15 minutes west of downtown Fort Lauderdale or about 8 miles away. What is the difference between LANAP® and REPAIR ® laser gum therapy? They are both FDA approved laser treatment for periodontal disease. Both laser procedures are specifically designed for the treatment of periodontal disease. LANAP®: Laser-assisted new attachment procedure and REPAIR®. In addition, REPAIR® has also FDA approval for removing periodontal bacterial calculus (tartar) under the gums. Calculus (calcified tartar) is the source of all periodontal disease. Both LANAP® and REPAIR® laser periodontal surgery provides a much improve methods for saving teeth with moderate and advanced periodontal disease. How soon after Laser periodontal surgery can I go back to work and family responsibilities? LASER surgery enables people to get on with their lives with minimal disruption. With Laser periodontal surgery there is a fast recovery time. You might leave the office "numb" but this wears off after a short period of time and you should feel little or no discomfort. A few patients come to mind who, shortly after laser surgery, have traveled, made public or TV appearances or business deals, taken care of children, worked with heavy equipment, performed an airplane pilot or professional musicians. How much is laser periodontal treatment? Each patient is different and the fee depends on the severity and extent of the periodontal disease. It varies significantly from about $400 for a severe single tooth to about $4,300 for the whole mouth or four quadrants of Laser periodontal treatment. Does insurance cover laser gum surgery? Yes, most insurance does cover a percentage associated with LASER gum surgery, just like they would with conventional "gum surgery". Maria, at the office, can help you with the insurance paperwork. Can a patient make payments for the periodontal services such as laser surgery, implants or conventional surgery? Yes. We offer to finance through the American Dental Association's approved financing programs. Call Maria for details. How would a dentist determine whether I might be a candidate for laser gum surgery? By conducting a thorough clinical exam and reviewing a full mouth series digital X-rays. What is the advantage of laser surgery over "conventional" gum surgery? Are the results better than conventional surgery? With laser periodontal surgery, there is no cutting or stitching of the gums, and therefore, minimal post-operative discomfort. In our office, we are finding the results have been great. Are you available to give lectures on periodontal laser procedures? Yes, Dr. Max Arocha has been invited to present his techniques and knowledge on Laser periodontal surgery to dentists at the World Clinical Laser Institute in San Diego, CA. I take blood thinners. Do I have to get off these medications before the laser surgery? No, one of the advantages of laser surgery is that patients don't have to stop their medications as with conventional gum surgery. This eliminates the risk of discontinuing these medications. Will I have gum recession after the laser surgery? No, LASER surgery does not cause any recession of the gums around the natural teeth or crowned teeth. However, once the inflamation that comes from the bacteria gum infection is remove you may notice a sligh and mild recession. Do I have to follow a special regimen after the laser surgery is completed? Yes, Dr. Max Arocha will review with you the suggested regimen of cleaning, follow-up and home care instructions. I see that there are connections between heart attacks, cardiovascular disease, premature births and numerous other medical conditions with "unstable" periodontal disease. Does this laser surgery help? Yes, LASER energy kills bacteria that cause gum disease. These are the same bacteria that have been linked to a number of medical conditions. I understand that it is hard to determine the price without seeing a patient, but if you were to compare laser to conventional periodontal surgery as an average, is it higher in cost or lower in cost, and by what percent? A laser is normally lower in cost than conventional surgery. However, it varies among clinicians and locations. Do dental insurance policies cover your services? Most dental insurance plans cover periodontal therapy. We are the in-network provider of most insurance. Please call Maria, so she can check your policy for further details. Is it ever possible to treat and heal gum pockets as serious as 6 without surgery? Yes, it is possible in most cases to treat periodontal pockets of 6mm and more. Can I get laser surgery or treatment even though I have braces? Yes, it is possible to have laser treatment with braces. We would recommend a thorough clinical exam and radiographs to confirm this mode of treatment. Having periodontal issues during orthodontic treatment is a concern, but intervention is usually successful and oftentimes done with the laser. Do some problems still, require conventional gum surgery? Yes. We still use conventional procedures in some clinical circumstances, but even during these procedures, we utilize the laser as much as possible. This reduces after surgery discomfort for our patients. A Sedation dentist for patients, in the Fort Lauderdale area, who has a history of psychological or physical trauma that prevents them from receiving needed dental treatment? Patients who wish to remain conscious during treatment, sedation dentistry offers a safe and reliable technique for making dental visits comfortable and relaxing without putting the patient to sleep. Thanks to mild oral sedation pill, an alternative to IV sedation and general anesthesia. This type of sedation dentistry begins when the doctor administers a small, custom-prescribed pill shortly before treatment. Soon after swallowing the pill, the patient eases into an anxiety-free state. Patients who undergo oral Sedation Dentistry remain aware of their surroundings and yet feel calm and relaxed throughout their time in the treatment chair. Many patients find that oral sedation dentistry allows them to undergo dental treatments and procedures they would have never before been able to tolerate. Oral sedation dentistry is an especially promising alternative for our younger patients or for people whose dental anxiety may only be exacerbated by the use of numbing injections or IV sedation. If you live in the Fort Lauderdale area interested in learning more about oral sedation dentistry call the number above. IV concious sedation dentistry allows patients to undergo one or more procedures while they remain sedated of anxiety. This effect is achieve by using intravenous medication to calm the patient into a sedated state for the duration of the treatment. A state-of-the-art monitoring equipment is use to ensure that patients are always safe and comfortable, and all of the anesthesiology is administered by Florida board-certified dentist in IV concious Sedation. IV sedation is indicated when the patient is apprehensive and/or does not want to remember anything when going to the dentist. For many patients, a typical IV sedation dentistry visit may include deep cleanings, crowns and multi-specialty treatments such as as gum surgery, root canal, and dental implants. The anesthesia techniques selection is based on each individual's needs and desires. The most obvious advantage of conscious IV aneshesia is to allow the patient to undergo multiple dental procedures, all while been sedated. In general, these sedated patients do not want to remember anything when going to the dentist. Instead of receiving medication intravenously through a vein, patients can opt to receive their sedation medication through the simple process of inhalation (anesthetics in the form of gas). A small mask attached to a tube is placed over the patient’s nose in order to administer the gas medication. Nitrous oxide, which is more commonly referred to as laughing gas, is one of the most common types of inhalants used in dentistry. Are you Avoiding the Dentist? Have you had a traumatic bad experience at the dentist? Anxious patients cringe at the sight of the syringe and sound of the drill. They make dental appointments, and then cancel them. They get sweaty palms, feel overwhelming anxiety and have difficulty sleeping the night before their dental appointment. As patient, we have to lie back with our mouths wide open, unable to communicate – thus rendered passive and unable to see what is going on – all adding to the feeling of uncertainty and apprehension. It is estimated that as many as 75 percent of Americans experience some degree of traumatic emotional trauma according to the text book writting by by Milgrom, Weinstein & Gets. Avoiding dentists ranges from mild feelings of apprehension to high levels of stress, emotional discomfort and full-blow panic attack. About ten percent of Americans are considered dental phobic. The significant factor in a phobia is avoidance. These people avoid dental work at all costs. Only seeking treatment for an emergency or when in extreme pain. Teeth deteriorate to an appalling condition; resulting in low self-esteem, distancing from relationship, failure to achieve goals in life and a host of physical problems. They believe that no one understands their emotional trauma; they are embarrassed, ashamed and concerned that they are mentally unstable. Knowing that you are overreacting, but feeling powerless to control your fear. People are not born anxious; the association of anxiety with dentist develops out of socialization and personal learning experiences. Those who suffer from dental anxiety are usually very competent in all other areas of their lives. Many people feel uncomfortable, helpless and claustrophobic during dental treatment. Others feel self-conscious, embarrassed and fear being scolded about the appearance of their teeth or possible mouth odors. We fear the unknown and worry about receiving bad news. We believe that we have a horrible cancer, disease or infection. Many life situation are experienced as stressful or difficult. Dental fear may be predominant, but it is frequently one of several fears or phobias. This is the most common type of dental fear in patient. Treatment of dental anxiety often includes a combination of behavioral and pharmacological techniques. As with any illness, dental anxious patients must take some initiative in their treatment and recovery. The relaxed body is more comfortable, has less stress, decreased blood pressure, a sense of well-being and mastery over fear. We can learn relaxation and breathing techniques that can be called upon when needed, in day-to-day life or in the dental chair. Therapy can help you uncover the underlying causes of worry and anxiety, learn how to relax, look at situations in new, less frightening ways and develop better coping and problem-solving skills. Therapy gives you the skills to overcome anxiety and teaches you how to use them to accept dental care without undue difficulty. A hierarchy of anxiety provoking situations and associated symptoms is stablished. Anxiety is reduced through gradual exposure to the identified situation, beginning with least threatening (sitting in the waiting room) and progressing to more threating (sitting in the chair waiting for the dentist too get the drill to begin treatment). Sedation refers to the use of sedative medication to calm and relax patients prior to and during dental appointments. The degree of sedation may vary from light calming, to moderate sedation to general anesthesia. These sedation method may be obtained by two general routes. Oral sedation involves medication that are swallowed like Xanax, Valium or midazolam. The intravenous route involves the administration of sedative drugs like Versed. Develop a relationship with a dentist before something huts. Talk about your fears and share past experiences, ask questions about anything that worries you. Once your dentist knows about your situation, he or she will be better able to work with you to determine the best way to reduce your anxiety and increase your comfort. If your dentist does not take your situation seriously, find another dentist. Stablish a signal – such as raising your hand –when you want the dentist or hygienist to stop treatment. Use this signal whenever you are uncomfortable, need to rinse your mouth or simply need to catch your breath. Take a friend or family member along to meet the dentist, keep you company in the waiting room or for support during treatment. THERE IS HOPE! You don’t have to live avoiding dentists. Regardless of your own personal experience, understand that your past traumation experience may have kept you from the dentist, but there is no need to be embarrassed. You can accept dental care without undue difficulty. You can reduce your anxiety level, keep appointments and your teeth, and have the confidence that a beautiful healthy smile can bring. People are not born anxious; the association of avoiding the dentist develops out of socialization and personal learning experiences. WE CAN HELP! with Sedation Dentistry. Gums exams are vital in the maintenance of your oral health as they are used to assess the health of your gums and teeth. They can help your dentist diagnose gum diseases, gingivitis and periodontitis. These gums exams can also reveal receding gums, exposed roots, tooth grinding and other gums related problems, making gums exams vital to maintaining proper oral health. Regular dental exams are important as they can reveal evidence of gum disease in its early stages. Gingivitis is the first stage of periodontal disease that causes inflammation of the gums. Dental x-rays can determine if the inflammation has spread to the supporting structures on the teeth so treatment can be started to correct the problem. Periodontitis occurs when gingivitis goes untreated, which makes gums exams vital to preventing and putting an end to gum diseases. We, as dentists in plantation, performer gums exam with each visit, emphasizing the importance of regular, routine dental visits. A preventable problem affecting all ages! "Tooth cavity affects more than one-fourth of U.S. children aged 2 to 5 years, and half of those aged 12 to 15 years. 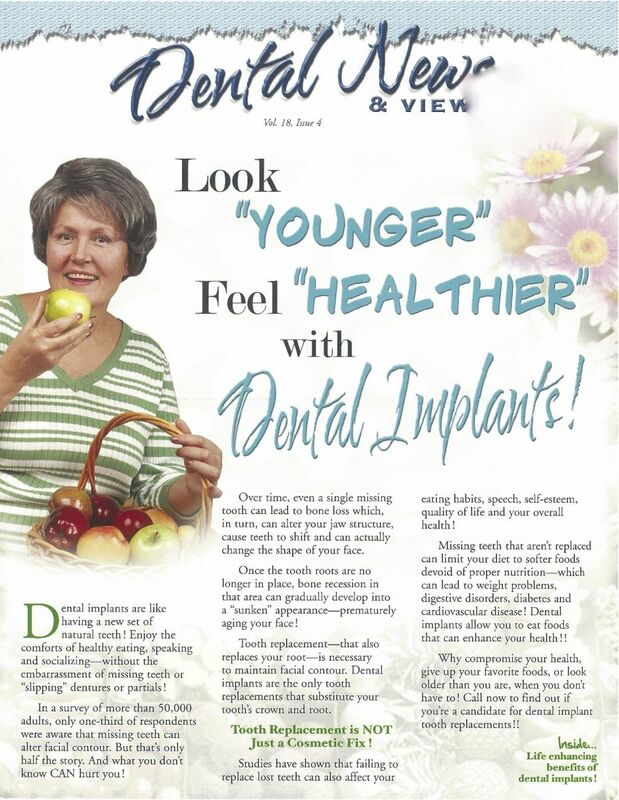 One-fourth of U.S. adults aged 65 or older have lost all of their teeth" according to the Center for Disease Control. (CDC). With a very personalized dental care program - just for you - tooth cavity can be a thing of the past. A cavity is a bacterial infection that is not only treatable, but it's also preventable. From the outset, you can prevent tooth cavities for your baby or young child by not allowing them to fall asleep with a bottle of juice or milk. The acids in these beverages can cause severe teeth cavities. For school-aged children, untreated cavities can cause a tooth pain, teeth absences, difficulty concentrating, and poor appearance. These are problems that greatly affect a child's quality of life. Teeth sealants and preventive fillings restorations protect the chewing surfaces of the back teeth from the most common "pit and fissure" cavities. Teens are notorious for paying minimal attention to healthy eating and oral hygiene, making this age group particularly vulnerable to tooth cavities. For patients having braces, regular in-office dental cleanings are vital to prevent rampant cavities from occurring next to the braces. Tooth cavity is still a problem for adults today. Cavity can form along or underneath old fillings and crowns (caps) - often making it necessary to replace older dental restorations. "Root cavities" due to receding gums and "dry mouth" are common with age. The lack of saliva diminishes your ability to protect your teeth against cavities. We will advise you on ways to stimulate natural saliva production to help neutralize tooth cavity-causing acids. Remember, we are here to help you with any dental concerns you may have from tooth cavities. Our goal is to provide you with the science, education and tools that will help you keep plaque in check. After all, this sticky film is the main culprit for both dental decay and periodontal disease. Bacteria break down sugar and produce an acid that dissolves enamel and lead to decay. Gum tissue is highly susceptible to the toxic waste products released by the bacteria and formation of plaque, leaving your gums vulnerable to inflammation and infection or periodontitis. Advanced dental research is helping us better understand hoe to control the overgrowth of oral bacteria. Prevention is beginning to focus on changing the oral environment. Not all bacteria make-up of a healthy mouth differs greatly from a mouth full of cavities or periodontal disease. Researchers have identified friendly bacteria present in healthy mouths that are missing from diseased mouths. Recent studies offer evidence that the natural sweetener “xylitol” can help change the oral bacterial environment by blocking the metabolism of sugar. Xylitol is a small molecule than fructose or glucose. It passes through the bacterial cell wall. Since the bacteria cannot metabolize the xylitol, it can not produce tooth-destroying acid. Also under study is the role of “oral probiotics” in maintaining oral health. You are probably heard about probiotics to promote intestinal health; however, recently researchers have suggested the use of probiotics to boost oral health, as well. Current research shows that specific oral probiotics can foster a healthier balance of oral bacteria. We will keep you updated about this promising research. Remember, nothing works better than the tired-and-true method of healthy diet, excellent oral hygiene and regular dental checkups. "Baby Steps" to a healthy pregnancy. Pregnant women with gum disease may be seven times more likely to have a baby that is born too early, too small and vulnerable to too many health risks. If you, or someone you know, are planning to become become pregnant soon, make sure to stay on top of daily oral hygiene and dental visits. If you have not been flossing regularly or have not had your six-month dental cleaning, there is a good chance you have gum disease. Studies have shown a relationship between periodontal disease and preterm, low birth weight babies. It is likely that the culprit is a labor inducing chemical that is actually found in oral bacteria called prostaglandin. Very high levels of prostaglandin are found in a women with severe periodontal disease. About half of women experience pregnancy gingivitis. This is the early stage of gum disease. Common symtoms include swelling, bleeding, redness or tenderness in the gum tissue. When gigivitis is not properly addressed, it can develop into the more advanced oral health condition, periodontitis. This infection destroys the supporting bone and gums which holds teeth in place. The infection can also spread to other parts of the body. If you are diagnosed with periodontal disease during pregnancy, a non surgical procedure called scaling and root planing may be recommended. Research suggests that these procedures may reduce the risk of preterm birth in pregnant women with periodontal disease. Remember, the health of your gums may affect the health of your baby-to-be. Taking baby steps to give your child an on-time delivery is one of the best ways to give your baby a healthy start.